The Global Thought Leaders index for 2015, a collective intelligence analysis that maps the global conversation on the internet and ranks its most influential voices, has just been released by The World Post and Gottlieb Duttweiler Institute in Zurich, Switzerland. Index of the world’s most influential voices — those who shape the way we think, and how their ideas are spread. The annual index measures English, Spanish, Chinese and German language info-spheres, ranking nearly 400 people who are most often mentioned and discussed online. Big ideas can change the world, and thinkers in the global ranking contribute with ideas of their own. Good deeds and good stories helped to achieve the best rankings. The aim of The World Post is to establish a global platform for the cross pollination of ideas beyond borders. Partnering with highly regarded Gottlieb Duttweiler Institute in Zurich, Switzerland to chart the currents and map the virtual territory of the infosphere is a key step in making the Internet a truly “global thinking circuit” instead of just a worldwide series of dots that don’t connect. The message can catch up with the medium if we put our minds to it. Nominations for the most influential thought leaders of 2015 were solicited from The World Post editorial board, from editors of El Pais, editors of Univision | Fusion and current affairs website Guancha. German language nominations were reviewed by Alexander Gorlach, founding editor of The European magazine. Nominations were processed through a collective intelligence analysis by Massachusetts Institute of Technology’s Peter Gloor, PhD, who correlated those nominations with their mentions — or “betweenness centrality” score, being spoken with or about — on Wikipedia, Twitter and blogs to determine an influence ranking. Developed by Gloor and owned by Galaxy Advisors, the software calculates and ranks a person’s position within a network of people talking with or about them. Detailed methodology in index. Ideas can be contagious. They’re snapped up and circulated. They spread like wildfire. And often, they don’t last very long. Ideas can become big. They’re discussed, fought for and worked through, and can lead to lasting changes in society if realized. But many don’t get that far. The quick and big ideas have two things in common — they need to be thought up by people, and then spread among others. The most influential of these people are found here. Gottlieb Duttweiler Institute and The World Post, in collaboration with Peter Gloor, PhD researcher at the Massachusetts Institute of Technology, have identified the most important pacemakers of the global conversation. The resulting 4 lists cover almost 400 of today’s thinkers, providing their rankings and important info about them. Many people have already come to know them in the context of weighty, fast paced global conversation. It’s worth becoming acquainted with them now. 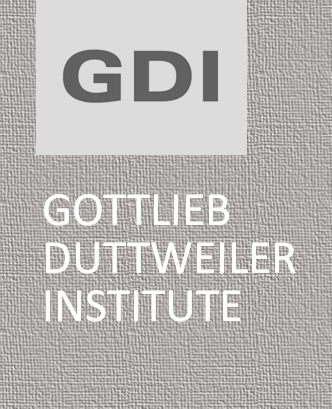 The Gottlieb Duttweiler Institute is part of the Im Gruene Foundation, a non-profit organization — a place for reflection and encounters, for the purpose of conducting scientific research in social and economic fields. 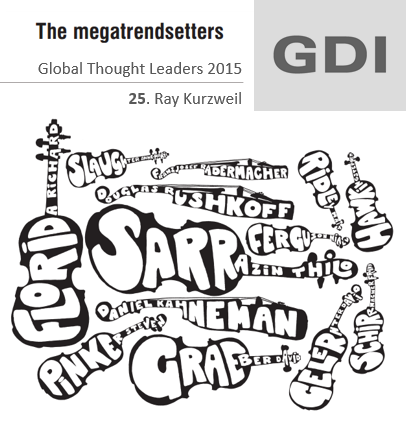 GDI* investigates mega-trends and counter-trends and future scenarios. Their insights are recorded in publications and discussed at conferences and meetings. GDI is a practice oriented, independent institution with a thematic focus on the early detection of trends in retail and consumption. 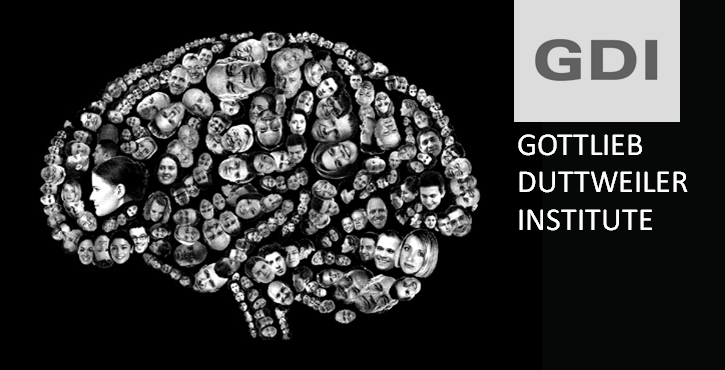 GDI hosts conferences with leading thinkers and decision makers to develop novel ideas about future developments, and events on current topics for a broader public. Gottlieb Duttweiler Institute has been calculating global thought leaders for four years.